The Nano 10 filter from ZooMed is the most recent offering from ZooMed that’s targeted towards the Nano tank audience. While it’s rated up to 10 gallons, its 79 GPH would probably be better suited to tanks up to 8 gallons, so you’re still filtering your tank at least ten times per hour, which is the ‘gold standard’ in Aquascaping. 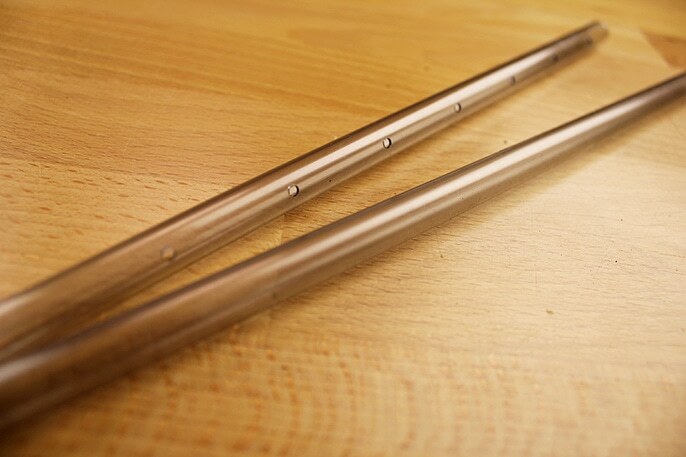 We’ll take a look at the flow rate, build quality, accessories, and value. We’ll also do extensive testing in a later video with a live tank. I’d heard that there were concerns about this filter’s flow rate, and I could see how that would be in a tank that’s near its limit. The ‘power’ output of the filter isn’t very intense, which is good for nano tanks, but can leave dead spots in the water. These dead spots can lead to reduced plant growth and algae blooms, so we’ll be monitoring this closely to see how it performs. The items that come with the filter seem like a good value; we’ll get into this later. Its small size makes it perfect for staying out of the way at an office, on a desk, or in a kitchen. This is the primary point that I’m interested in for this tank. The specifications for the ZooMed Nano 10 Filter state that it has 79 Gallons Per Hour, but we’re not sure if that’s ‘loaded’ (with media), or unloaded. Because of this, we’d recommend using this up to a maximum tank size of 8 gallons to maintain the 10X water turnover per hour. 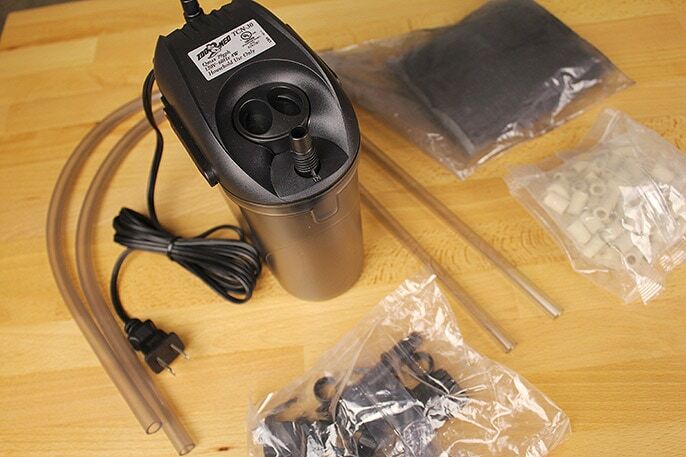 The kit includes a spray bar, which is great for nano tanks; the flow on many filters would be overwhelming for most fish in a nano tank, and a spray bar helps reduce that intensity coming out of the filter. The bar is made from stiff plastic, and is about what you’d expect in a filter for this price range. 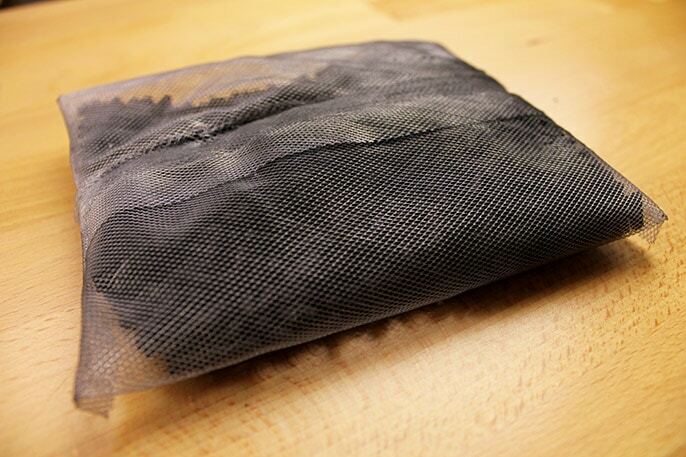 The kit comes with both biological filter media and a carbon bag, which is great for starters. 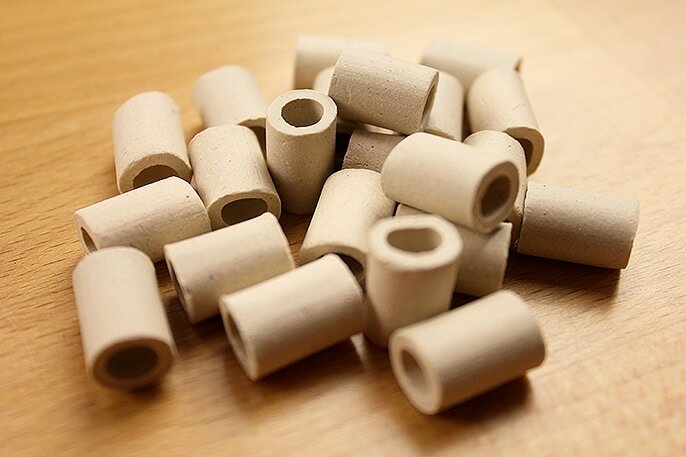 The ceramic media is a nice addition to a filter for beginners that might not already have cycled media available at home. The carbon is useful for removing chemicals and medicines from tank water; other than that, Filter Floss might be a better solution for ‘polishing’ the water to get that crystal clear effect. The build quality on the Nano 10 is about what you’d expect from this price range. The strength is adequate; the canister functions properly and doesn’t leak anywhere. It’s very quiet, and does it job. The tubing and piping are all satisfactory, though I’d like to see more tubing provided than the included short tubing. This is a nano tank filter, so it’s understandable to have such a small amount, however. For the price, this filter is a no-brainer. There are other filters that are available, but for this price, it’s a good choice for beginners looking to start on a budget. For $30 more, you can get the EHEIM Classic 250, the gold standard of filters in this price range. Note that the GPH for the EHEIM is lower than this filter. However, EHEIM test filters ‘loaded’ with filter media, so it’s likely that it’s comparable (or more) to this filter’s 79 GPH rating. Your welcome! Glad it helped you in your decision making. =) Would love to see the tank once it is up.